Next, make up a list of groups or objects to analyze in the report. In our example, we need to include in the report scope for the database engine. To find the necessary database engine, we will apply a filter that will return all objects of the SQL DB Engine class. 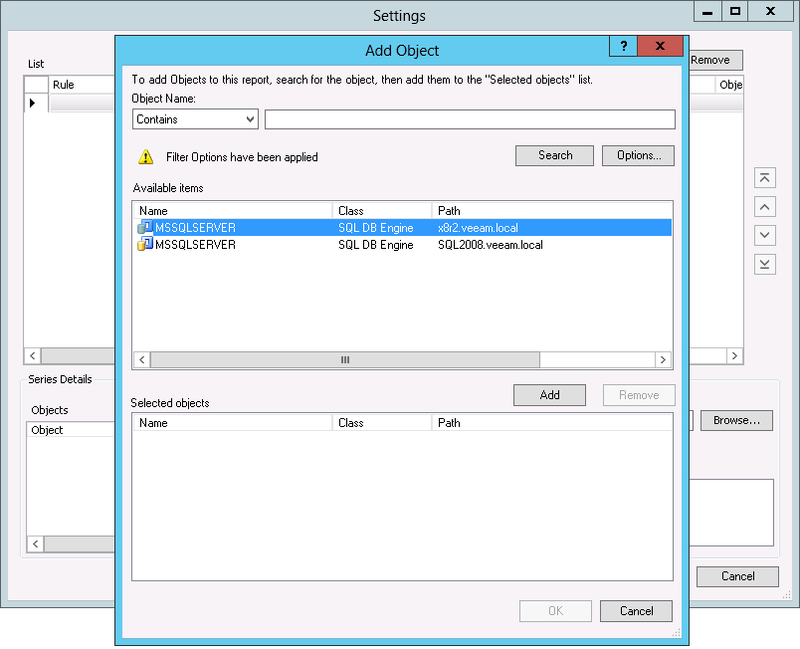 In the Scope section, click Add Object. In the Add Object window, click Options. In the Options window, click Add. In the Class Name search box, type “DB engine” and click Search. Select the SQL DB engine class in the list of search results, click Add and click OK. In the Options windows, click OK to apply the filter. In the Add Object window, click Search. The search will return a list of objects that belong to the SQL DB Engine class. Select the necessary objects in the list, click Add and click OK.